Iranian engineers are in contact with an experimental satellite after it blasted off Monday aboard a two-stage Safir booster, marking Iran’s first successful orbital launch in three years, state media reported. The Fajr satellite was placed in orbit about eight minutes after taking off from a military base in northern Iran’s Semnan province, according to state-run media reports. The spacecraft reportedly weighs about 50 kilograms, or 110 pounds. Ground controllers received radio signals from the Fajr satellite in orbit hours after the launch, according to Iran’s official Islamic Republic News Agency. 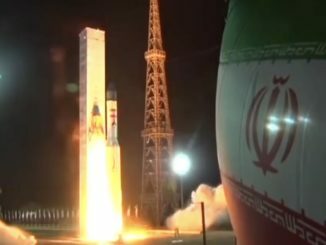 Iran did not disclose details of the satellite’s purpose, but Iranian media reported it carried a cold gas propulsion to for in-space maneuvers, representing a technological advancement over the country’s earlier satellites. The launch time was also not announced, but independent analysts estimated the mission lifted off at about 0850 GMT (3:50 a.m. EST) Monday. Tracking data from the U.S. Air Force’s Space Surveillance Network indicated an object associated with the launch in an orbit with a perigee, or low point, of about 139 miles and an apogee, or high point, of about 285 miles. The Fajr satellite is flying in an orbit tilted at 55.5 degrees to the equator. Fajr is the Persian word for dawn. The craft is Iran’s fourth satellite, coming after successful space launches in 2009, 2011 and 2012. 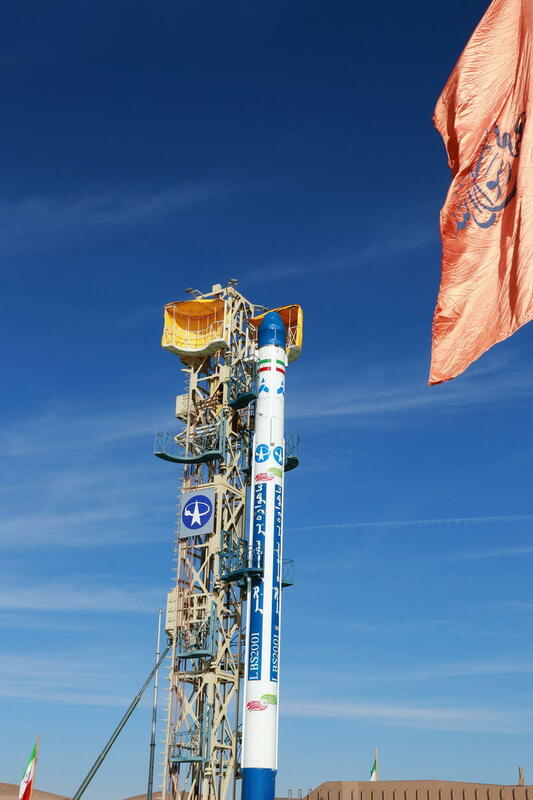 Two more Iranian satellite launch attempts in 2012 reportedly failed. 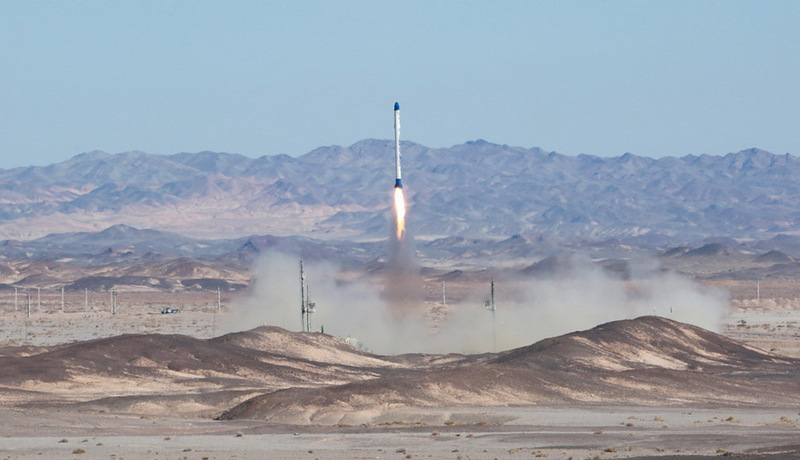 Monday’s launch occurred during national ceremonies marking the 36th anniversary of the 1979 Iranian Revolution. 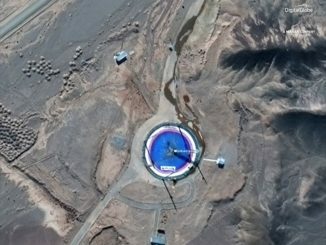 The 72-foot-tall Safir rocket used to launch the Fajr satellite is based on the Shahab 3 booster, Iran’s most advanced ballistic missile. 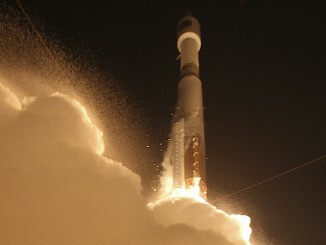 Iran’s first satellite launch in February 2009 thrust the country into a club of nations capable of putting an object in Earth orbit. The former Soviet Union launched the world’s first artificial satellite, Sputnik 1, in October 1957. The United States followed with the successful launch of Explorer 1 in January 1958. France, Japan, China, the United Kingdom, India and Israel later developed and successfully flew space launchers. North Korea put its own satellite in orbit in December 2012, becoming the newest space-faring nation.